The NCTE recommends four ways to polish your writing in this skill brief. Two of them bear special focus. The first one, reading your drafts aloud, will help you to pick up awkward phrasing, poor word choice, redundancies, and overlooked errors in grammar or punctuation. I have used this approach when coaching writers ranging in age from 18 to 80, from education levels of high school graduate to post-doctoral fellow, from scores of fields and from hundreds of companies--and it always works. The third one, imagining your readers, is easier than you might think. Pretend you are in a dialogue with them. So let's say the first sentence of a proposal to your boss says, "I need a laptop." What would your boss ask? "Why?" Now that first sentence would say, "I need a laptop to be more productive when I am in the field." Then your boss might ask, "How often are you in the field?" or "How can you be more productive in the field?" Now you would write, "Using a laptop during my 12 hours in the field each week will help me produce my investigative reports more efficiently." Then your boss would probably ask questions such as "How many investigative reports do you write weekly? How backlogged are you in writing these reports? Can you get help writing these reports in some other way? How much does the laptop cost?" You get the idea: write to your reader. The NCTE tips on overcoming writer's block are practical for writers of any stripe. When facing deadlines under pressure, I have used three of these techniques to excellent results (making a list, taking a break, and giving yourself a direction). Free-writing is another proven practice for breaking through writer's block that does not appear on the list but is especially useful for business writers. This practice expects of the writer quantity, not quality. Just write freely, producing words on the screen or page without the definite aim of a perfect draft. In other words, you might try writing the first draft with your heart and then the second draft with your head. Another strategy that I mentioned in previous WORDS ON THE LINE posts is reading. Nothing inspires me to write more than reading writers whose style I admire. So when I'm stuck at the keyboard, I walk away and pick up an essayist like James Baldwin or Joan Didion, a novelist like Nikos Kazantzakis or John Steinbeck, a playwright like Yasmina Reza or Sam Shepard, or a poet like Stephen Dunn or Gabriela Mistral. Whoever your favorites are, use them when you need them most. Structure rules. This key maxim drives most of The Art of E-mail Writing, which thousands of business writers have used to ensure that their messages are purposeful, complete, and organized. All the command of language in the world is useless without good structure. "Organizing Your Writing," a skill brief from the NCTE, covers five time-tested organizing techniques that you are likely to use in your daily on-the-job writing. Especially helpful are the links explaining organization types and organization strategies in greater depth. By starting with these resources, you can go even deeper into structuring ideas. For instance, you might divide the pattern of organizing by comparison into similarities-differences or advantages-disadvantages. Without understanding your audience, you might as well forget your purpose and give up writing. You run a far greater chance of crafting a winning proposal, comprehensive report, or compelling position paper by including audience analysis as a routine part of planning complex messages. The helpful hints in the NCTE's tip sheet "Connecting with Your Audience" reinforce this point and list four important considerations for writing to your reader. The excellent references at the end of the brief from Colorado State University and the University of North Carolina dig deeper into audience assessment. Often writing teachers speak more in theoretical than practical terms when advising writing students to get creative. In our defense, we do not want to both lead the horse to water and then pour the water down the horse's throat. We hope to give students an opportunity to discover ideas on their own. Having a workable writing process is vital. I am not talking about what you write but how you write. This is an area where even strong writers may falter. The idea is to write ideas quickly at first and to refine those ideas later. The NCTE's second writing tip sheet, Finding the Writing Process That Works for You, summarizes points to consider about the writing process. The premise of the pages is that no one writing process will work for everyone, so you need to find a system that works for you. Several good tips appear on the sheet to help you jumpstart that challenging essay, proposal, or report. You will find especially interesting the observations and advice in the reference section at the end, including in "Isabelle Allende Loves the Writing Process" and Michael Becker's article "The Writing Process." 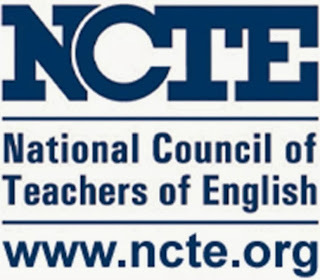 I have mentioned in previous posts the value that the National Council of Teachers of English (NCTE) brings to developing writers. The organization, composed primarily of English teachers from the middle school to university levels, offers an excellent library of resources to cultivate writing skills. One particularly useful series of writing guidance appears in the form of 10 single-page PDF files. I will summarize these already concise tip sheets and add a supporting observation of my own over these next 10 WORDS ON THE LINE posts. The first sheet, Determining What to Write About, provides good suggestions for breaking through writer's block by generating ideas. Nothing is as intimidating to writers as that moment when they cannot get started or fail to process their ideas efficiently. This is such a big issue that I wrote an entire book about it: How to Write Fast Under Pressure. Of the 10 strategies listed in the bullet points of the article, the one that has always worked for me is "Read, read, read—all great authors are readers who constantly look for ideas from other authors." I find inspiration in reading nearly anything. Reading the poetry of Stephen Dunn makes me want to write poetry, reading the drama of Sam Shepard gets me started in writing dialogues, reading the fiction of Nikos Kazantzakis helps me recall interesting yarns from my own experience, and reading the essays of James Baldwin pushes me to finish an essay. For more ideas on choosing what to write about, check out the helpful link at the conclusion of the NCTE post.